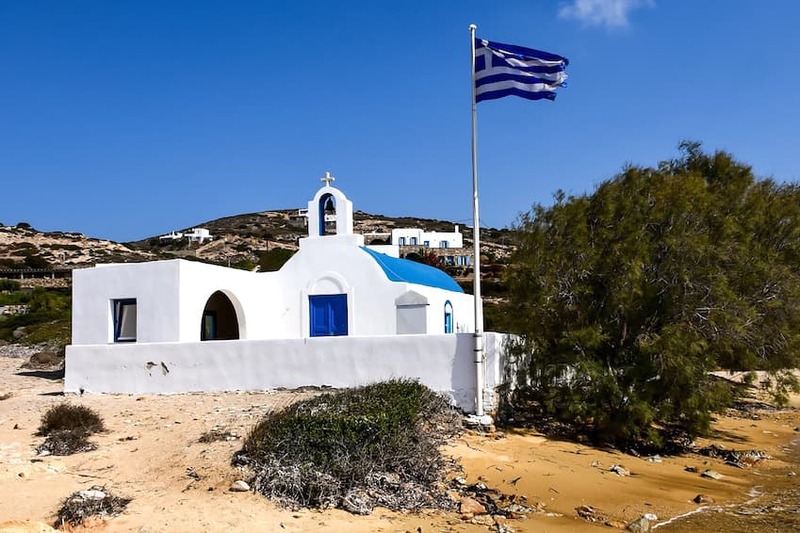 Greece: Which island to choose for your holidays? With more than 6,000 islands, including 200 uninhabited, Greece continues to delight visitors from around the world. To organise your trip to the Greek islands, you must first wonder what types of holidays you crave: party, cultural, historical, relaxing, ultra-luxury...The Greek islands are diverse and offer a plethora of possibilities to meet all your needs and expectations. 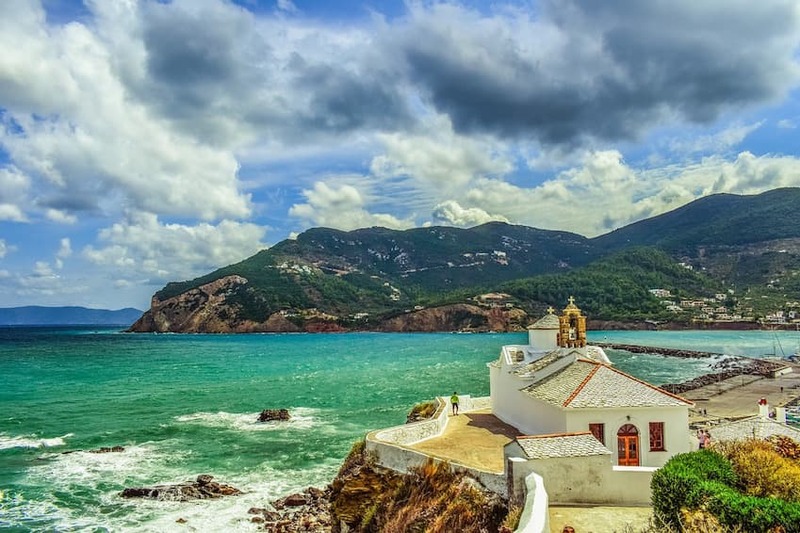 In this article, find out which Greek island fits you best and book your holiday without further ado! Attracting the most VIP celebrities, Mykonos breathes luxury and trendiness. If, before, the island was famous for its pristine white mills, it is today its wild parties and mythical bars that build the reputation of the island. 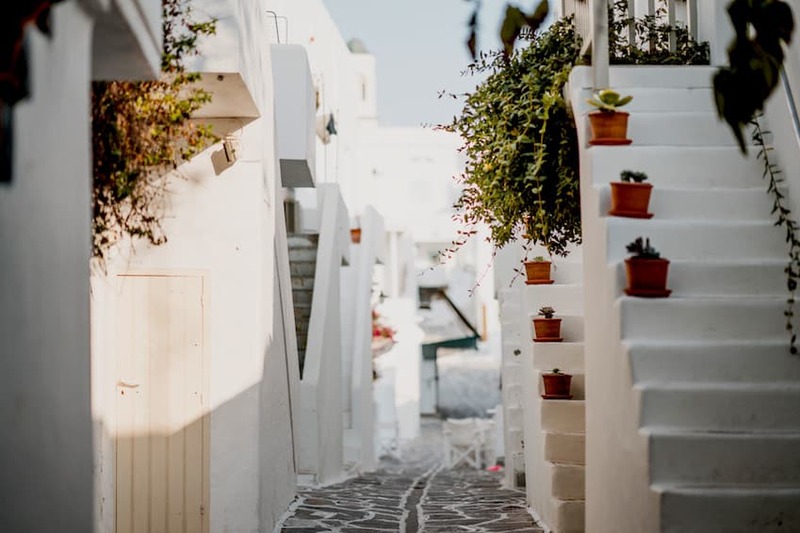 However, like Ibiza, Mykonos is also full of charming lanes bordered by houses with whitewashed walls and small authentic churches. Nevertheless, it is undeniably in the evening that the charm of Mykonos awakens. In the labyrinthine alleyways dotted with shops and bars, there are the Athenians and the tourists. On the beach, it is good to enjoy cocktails while waiting for the sunset. A true spectacle, the twilight will enchant you with a background of electronic music mixed by the most fashionable DJs of the moment. Just thirty minutes from the turbulent Mykonos, lies a haven of peace and tranquility: Delos. It is not possible to stay on Delos; only day visits are allowed. Nevertheless, the escapade is worth the detour. Delos was the economic and commercial center of Greece during Antiquity. Nicknamed "the island of gods", it now houses archaeological remains of great rarity. Bordered by the Aegean Sea, Delos is deserted, disturbed only by the noise of history lovers who have come to learn more about Greek antiquity. During your visit, do not miss the imposing sanctuary of Apollo, the terrace of the Lions and the theatre district. The island of Delos also fuels myths and legends, turning it into a blessed and sacred island. Indeed, it was on this rock near the Mediterranean and the Aegean that Apollo was born. 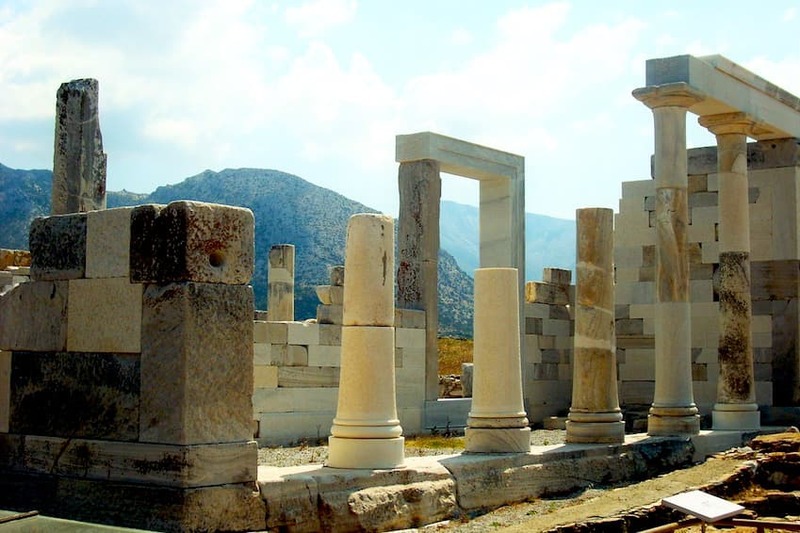 Discover without further delay all the secrets of Delos and visit this island of historical heritage and great beauty! The Cyclades island of Santorini offers breathtaking natural landscapes. Santorini is one of the only Greek islands of volcanic origin, giving it a singular and mysterious feature. Many eruptions have occurred over the last 10,000 years, fueling the wildest myths. Among them, some claim that Santorini is at the origin of the mystery of Atlantis, the continent that disappeared. But the charm of this Cycladic island does not stop there. 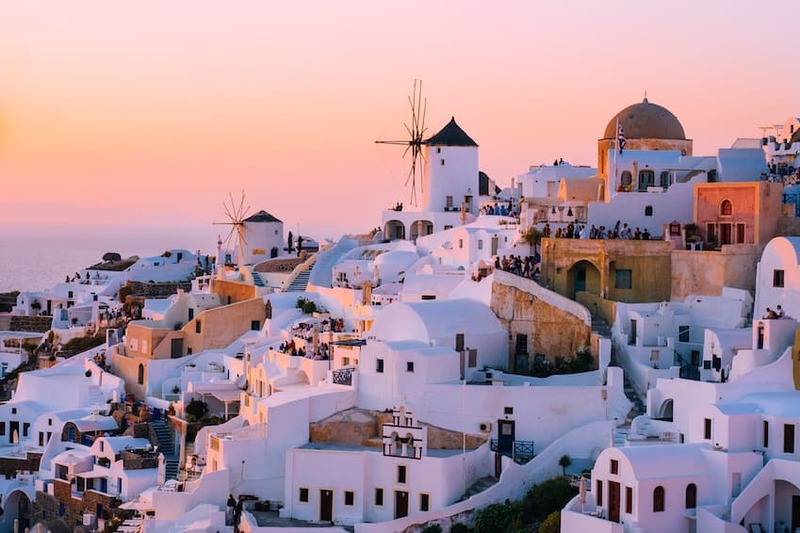 From the labyrinthine alleyways to the cable car in the sky to the grey sand beaches, Santorini has a lot to offer you. Perfect for a romantic getaway, this Greek island exudes a special atmosphere that you will love discovering with your other half. From morning to night, let yourself be seduced by the beauties and mysteries of Santorini. At the end of the Aegean Sea lies the small island of Samos. Between its green hills, lush vegetation and pebble beaches, Samos continues to fascinate visitors. Close to Turkey, Samos will delight all lovers of nature. This island of Pythagoras and the goddess Hera is also home to the best vineyards of Greece. 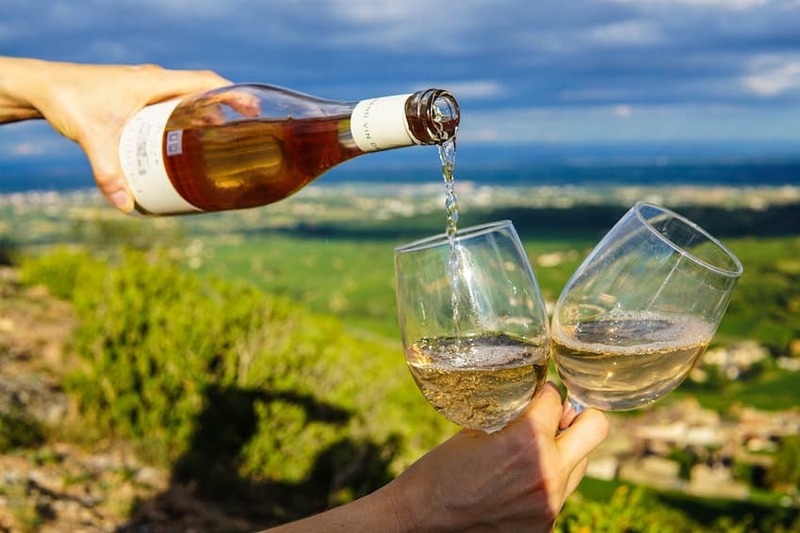 Known especially for its muscat, we strongly advise you to stop in Samos to taste the sweet wines produced from white muscat with small grains. It’s a real treat! Among the wines of Samos, do not miss the Samena, with aromas of elder and white flowers. The 2011 Samos Anthemis, on the other hand, will amaze sweet palates with its sweet notes of caramel and dried apricots. At the edge of a crystalline sea, Skiathos radiates beauty. We get lost willingly on the fine golden sand of this island of Sporades. With its 70 beaches and green hills, Skiathos combines nature and idleness. It is often said that Skiathos is home to the most beautiful beach in Greece: Koukounaries. If it is necessary to get up early to avoid crowds of tourists hurrying to put their towel down in this sublime place, Skiathos is full of other creeks that are less crowded and perfect for sunbathing. For a soothing holiday, Skiathos is definitely the Greek island you need. 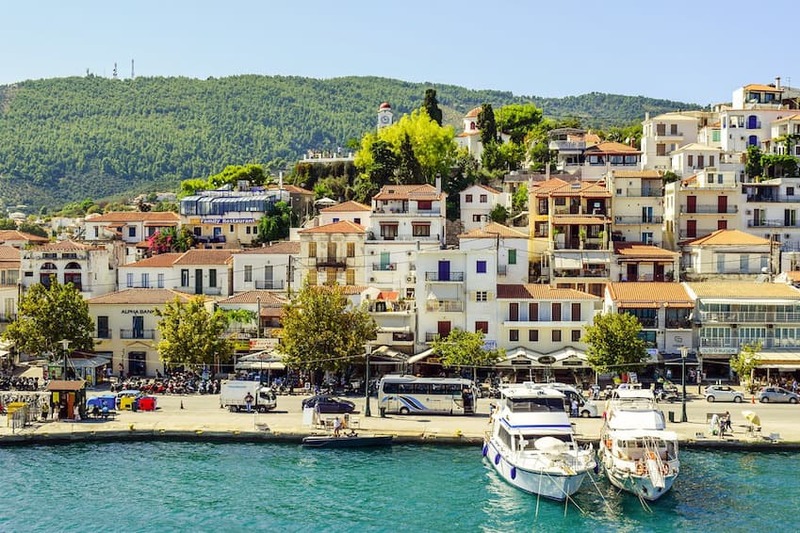 Here, you can stroll along the harbour watching the moored fishing boats, contemplating the lush pine-covered landscapes or venturing into the wooded valleys. In its postcard style, Paros has nothing to envy other Greek islands, though others are much more known. Away from the crowds of tourists, Paros seduces with its white houses and cobbled streets. In Parikia, the capital, is the church Agios Konstantinos, which is not to be missed! More intimate than most other Greek islands, Paros is an ode to beauty. 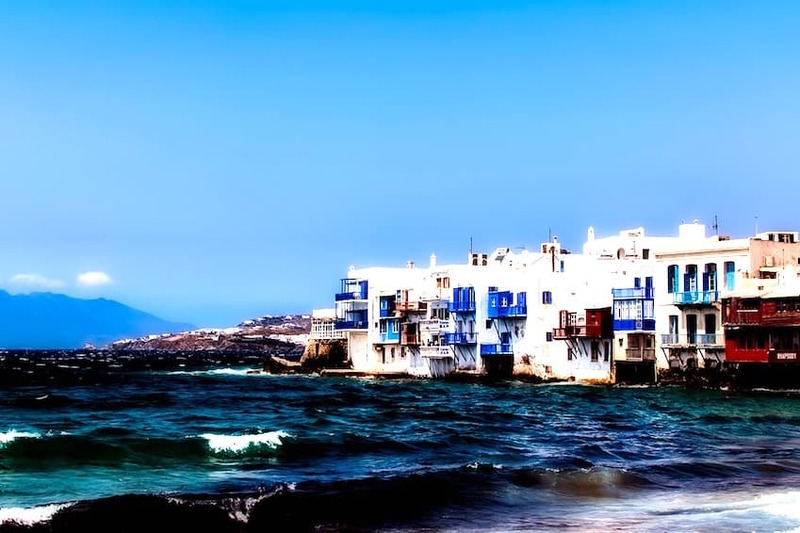 That's why the island is teeming with a high-end clientele who flee Mykonos and Santorini to find the authenticity and tranquility of Paros. Treat yourself to an ultra-luxury break in Paros, known for its white marble, olive groves and natural landscapes. The magnificent island of Alonissos is in the heart of the eponymous marine park. In this sense, it enjoys a natural environment of dreams. Isolated and intimate, Alonissos was hit hard by the earthquake of 1965. Nevertheless, it is now reborn from the ashes to offer visitors arid landscapes, long stretches of sand and a huge historical heritage. Perfect for hiking enthusiasts, Alonissos has many trails, of varying difficulty, which will allow you to discover all the beauty of the natural spaces of this island of Sporades. More demanding trails are also available, reserved for the most athletic! Only 30 minutes from Paros, Antiparos is more authentic and quieter than his sidekick. That's why it is an ideal choice for a family getaway to the Greek Islands. Preserved from mass tourism, Antiparos exudes friendliness and simplicity. In the midst of bougainvilleas and olive groves lie pristine white villages that you will love losing yourself in. Take a break in one of Antiparos' many traditional cafés and end the day on the golden sands of the island's beaches. As a family, watch the sun go down. Like a gradient of roses and oranges, the sky will turn into a true palette of colour for the delight of young and old! Between Italy and Albania lies the island paradise of Corfu. This cosmopolitan island, which has inspired many writers like Goethe or Lawrence Durrell, mixes Greek and Byzantine heritage. 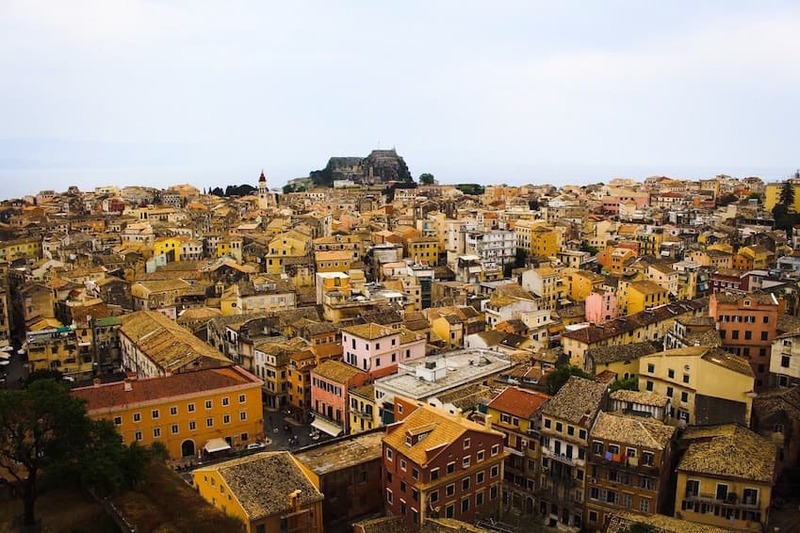 Listed as a UNESCO World Heritage Site, Corfu is home to architectural treasures that are not to be missed under any circumstances during your stay in Greece! Perched on Mount Pantokrator lies the abandoned village of Palea Perithia. Dating from the Byzantine era, you will find a plethora of authentic houses and many precious testimonials to this architectural period. Moreover, the city of Corfu is worth a visit. From its cobbled streets to its sidewalk cafes, the city of Corfu still breathes a Venetian atmosphere and it feels good! If you want to combine history, nature, architecture and luxury, then Crete is definitely for you! The largest island of Greece, Crete is located on the borders of Europe and the East. Preserved and wild, this Greek island offers spectacular landscapes that dazzle as you hike through them. 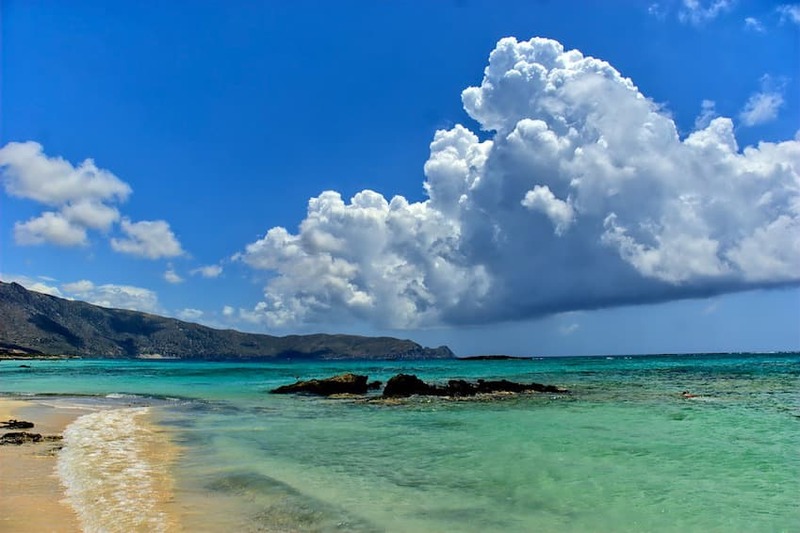 Crete is also home to myths that will fascinate you. From the cave of Dikti where Zeus was born to the intriguing White Mountains, Crete enjoys breathtaking and mystical natural spaces. 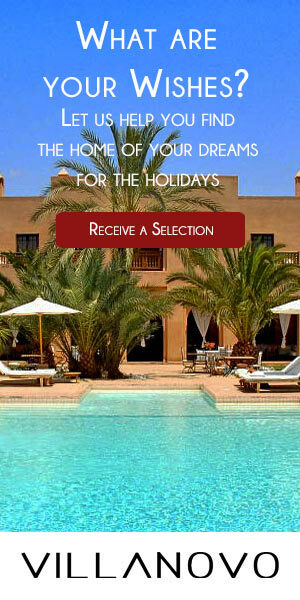 Swept by the warm winds of Africa and washed by the sea of ​​Libya, Crete has airs elsewhere. From its beautiful beaches to its lush greenery and refined gastronomy, Crete is the Greek island that will satisfy all your desires!